Because of my addiction my wife has filed for divorce what can I do to save my marriage? I am a recovering addict. Prescription pain killers were my addiction. My wife didn't know how to deal with it so she says it's the pills or me, I wanted my wife but my addiction was too strong she filed for divorce. I attempted suicide because losing her was not an option neither was giving up the pills. Well it's been 7 months I'm drug free but also still separated. Comments for Because of my addiction my wife has filed for divorce what can I do to save my marriage? Trust is rebuilt one day at a time. So glad to hear you are in addiction recovery but so sorry to hear about your marriage. Hopefully, as part of your addiction recovery, you're working the 12 steps, attending 12 step meetings preferably at least twice a week. Also, you might want to find a male sponsor who has saved his marriage after addiction. If you're attending 12 step meetings, try to get your wife to attend Al-anon meetings with you. Hopefully then both of you can work the steps and learn how to make amends to each other for the poor choices that each of you has made. It's likely that because of your actions during your addiction, your wife doesn't trust you at all. She may believe that, if she returns to you, you will let your guard down and start using again. Some people use a piggy bank analogy about regaining trust, put a coin the bank everyday and when the bank is full, then trust will have been restored. Attending meetings together over the next few months should help you to both see what is possible with your relationship. Part of addiction recovery for all of us is learning forgiveness and accepting the true consequences of our behavior. 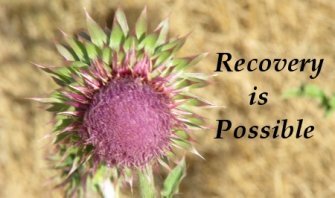 There are no quick fixes, but emotional recovery from addiction is possible!